Sign up and receive Property Email Alerts of Apartments for sale in Paulshof, Sandton. 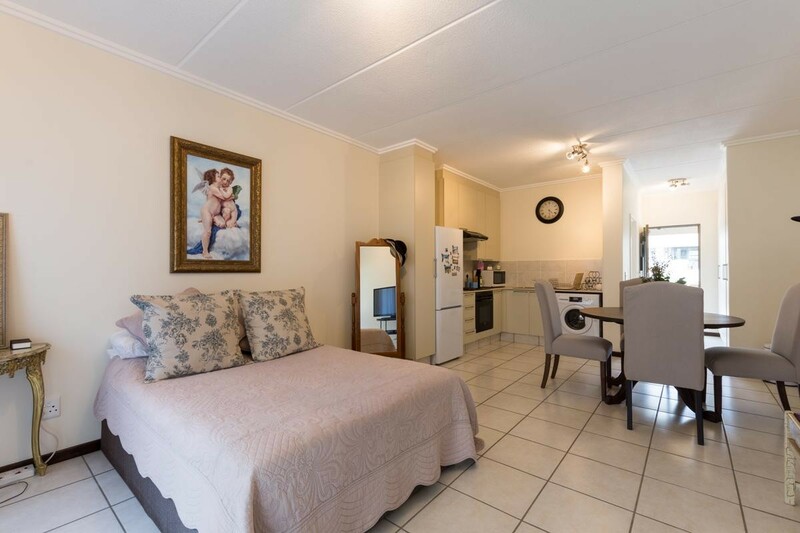 Studio Apartment in the heart of Paulshof , in excellent location, a hop and a skip from Witkoppen, Main Road and the N1, situated in a top of the range estate, with pool, clubhouse, top security, laundry facilities and fibre internet. The unit is in pristine condition with white Caesar stone tops, open plan kitchen and immaculate finishes throughout. It offers a balcony, ensuite bathroom and a beautiful layout in modern living. Ideal for a first time starter home or as an investment opportunity. A must see. Viewings by appointment . Sign-up and receive Property Email Alerts of Apartments for sale in Paulshof, Sandton.